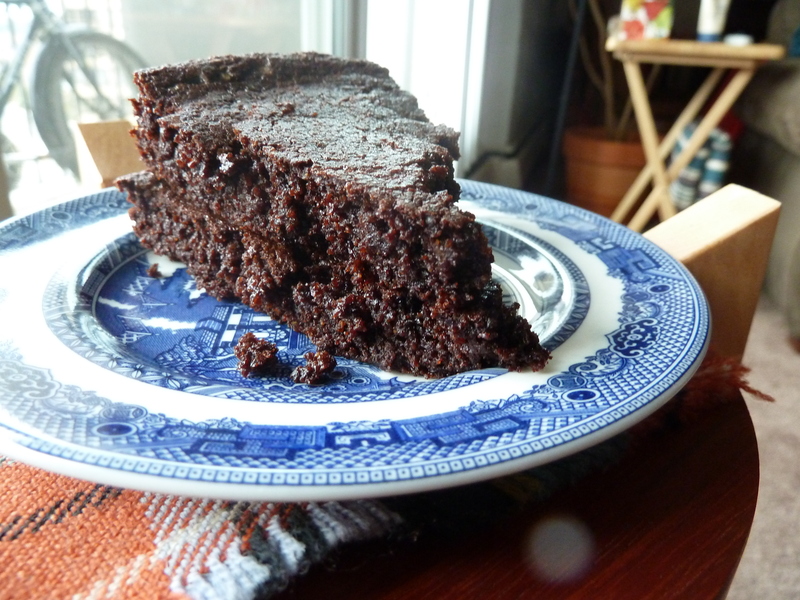 This is a gluten free recipe, but it is hardly calorie free, and it is the calories that make this moist chocolate cake so delicious. I received this recipe from my work sensei, Claudette, who shared it with me after I experimented with quinoa in my Quinoa and Apple Salad. That salad was a huge success, so why not try quinoa for a sweet treat? This recipe heavily relies on the cookbook Quinoa 365: The Everyday Super Food for the ingredients. I highly recommend visiting their website (or better, buying their book) and seeing some other fabulous recipes while learning about the health benefits of quinoa. Of course, surround the quinoa with butter, eggs, and cocoa and I’m no longer sure the health benefits are as fabulous as they should be, but you’ll feel all warm and cozy, loved and hugged when you eat this cake, and that in my book, is worth every single calorie. Bowl – the size you use to eat popcorn in when PMSy. 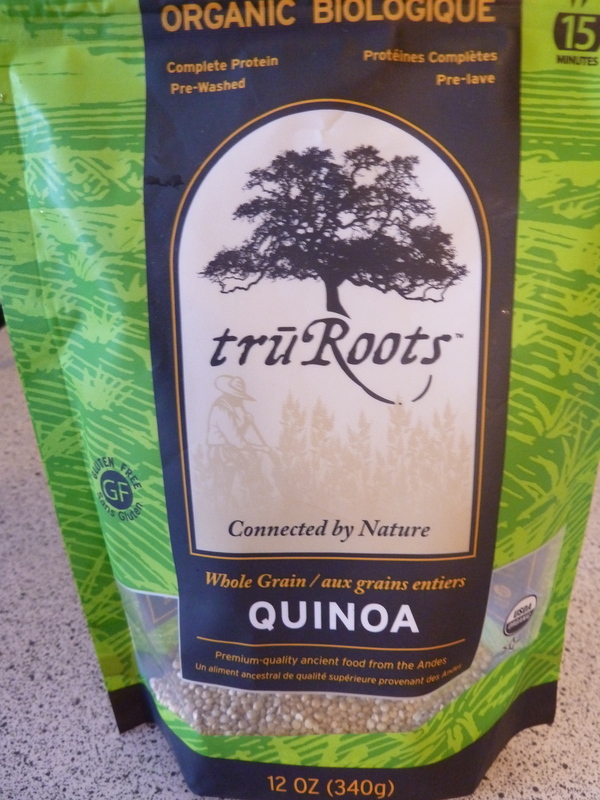 I’m sure there are other great brands of quinoa, but this is the one I bought back in May when I made the quinoa apple salad. It keeps well! Don your favourite apron and then…. Put the water and quinoa in a saucepan, bring to boil. Reduce to simmer and cover. Cook for 10 minutes. Turn off the stove, remove the saucepan and let it sit, covered, another 10 minutes. Fluff quinoa with the fork, and allow it to cool. Preheat your oven to 350F. Butter two cake pans, round or square, or, live on the edge and butter one round and one square one. Line the bottom of the pans with parchment paper. This is a step I usually ignore, but this is a sticky cake, and highly recommend you do this. In your big bowl, whisk together the cocoa, sugar, baking powder, soda and salt. 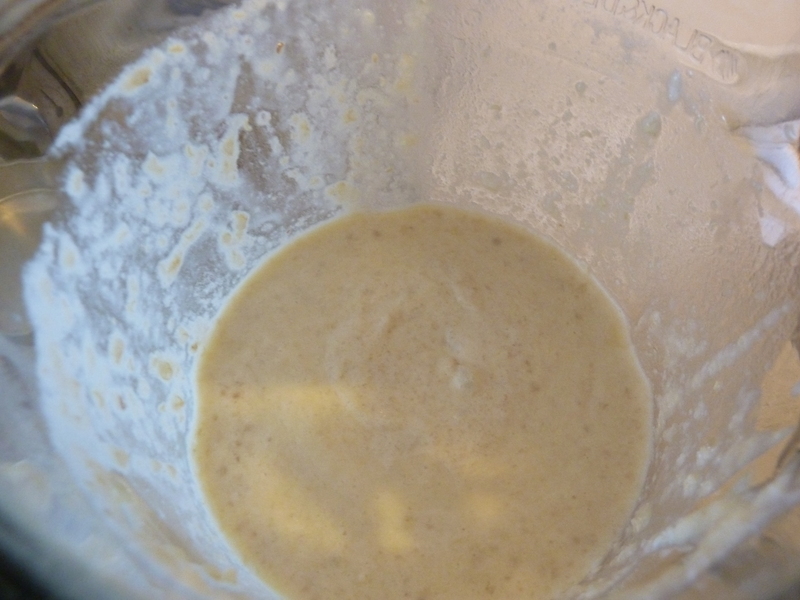 Add the batter from the blender and mix well with spoon. 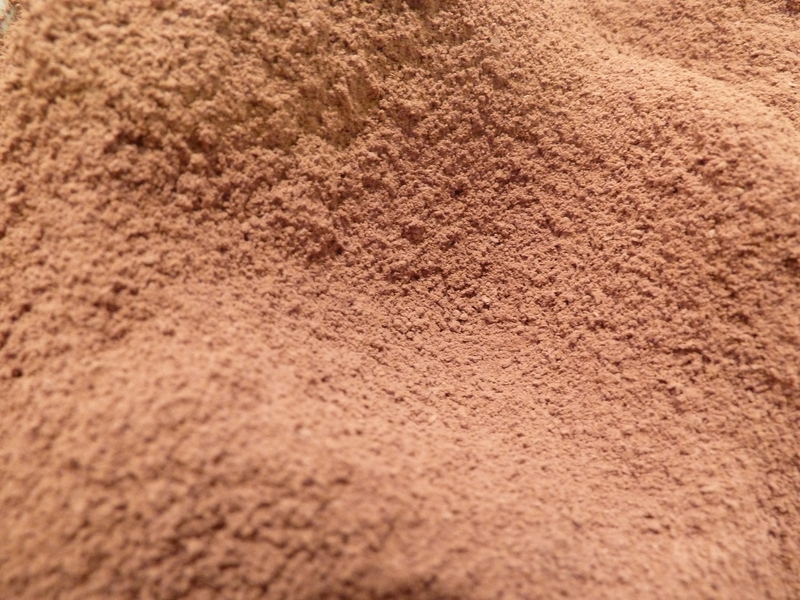 Lovely dunes of cocoa powder. Split the chocolatey batter between the two pans, scraping the bowl empty with the spatula, and bake for 40 to 45 minutes, or until a wooden stick inserted in the centre comes out clean. Remove the cakes from the oven and cool on racks in the pan. Wait until they are completely cool or your will have a crumbly mess to deal with (but the crumbs are delicious, so all is not lost if you lose patience) (not that I would know). You can ice this cake if you want, but it is dense and sweet enough on its own (to my taste). It is like a fudgey brownie. The original recipe comes with storage options, but I can absolutely guarantee you won’t have left overs to freeze, or if you do, it won’t last in your freezer up to the recommended 1 month. Do NOT expect your cake to be this high. One slice looked a little, er, flat. So I stacked two pieces on top of each other. Oh yes, the PMSy popcorn bowl. Only slightly smaller than the PMSy M & M’s bowl.